Students in the Mathematics and Computer Science Track generally take the general Graduate Record Examination (GRE) and are expected to place in the top half in every category. Students not intending to take the GRE consult the Department of Mathematics to determine an appropriate test. 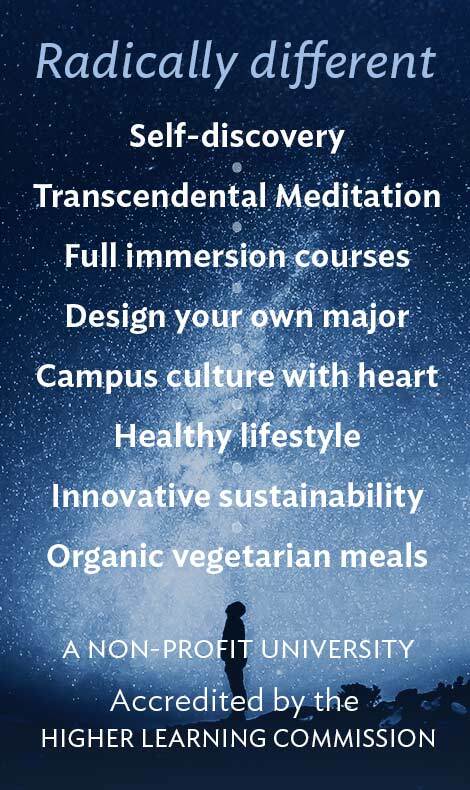 Students write a substantial paper unifying the knowledge gained from the courses taken during their major and relating this knowledge to deep principles from Maharishi Science of Consciousness. This is done by taking a required course on software development and then actually creating software for a particular application such as a business. The paper is made by the student into a poster for submission for presentation at the annual Knowledge Celebration in June of the year of completion of the major. 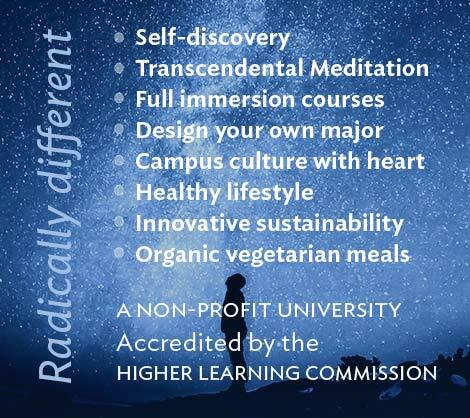 The paper is evaluated by the supervisor of that student’s senior project and by at least one other senior faculty member for significant content, significant unification of principles from all of their courses, and connection to general principles from Maharishi Science of Consciousness. In addition, they are evaluated for information literacy, writing ability according to criteria for modern professional writing, and critical thinking. At the end of each academic year, all mathematics majors are asked to fill out a questionnaire asking for their degree of satisfaction with what they have accomplished during their degree program so far. For students in this track, topics covered are related to the mission, goals, and outcomes of the Mathematics and Computer Science Track of the Mathematics Major.